You've already made the decision to start your own franchise unit. You're ready to take the reins of your future into your own hands and take control of your destiny. But before you charge forward into this new uncharted territory, you need to surround yourself with a team of experts. Think of these people as a band of guides, each one understanding a different aspect of the new experience that you are about to embark upon. First of all, you will definitely need to consult accountants and attorneys, but there are also a few other types of professionals that you should consult before embarking upon your new venture. This is not optional. You may already have the ambition and the talent to succeed, but you don't necessarily have the experience and the know-how. Enlist one or more people from each of the categories below into your team of experts. Before you purchase your franchise unit, it is absolutely essential that you consult with a franchise lawyer. Remember, you need a lawyer who works specifically with franchise law. He or she will be able to explain to you in detail all of the laws surrounding the establishment and operation of a franchise unit in your state. While most of the laws are consistent from state to state, a few states do have some particularities. So talk to a franchise lawyer—or better yet, a couple of them—who operates primarily in your state about what kinds of laws and restrictions you can expect. You need an accountant not only to calculate the daily expenses of your new business, but also to help you organize the relationship between your business and your private finances. You've just embarked on a totally new journey into the financial unknown. A good accountant is a guide who will help you navigate between your different options and help you decide how to organize your relationship with your business in order to maximize the benefit while minimizing the personal risk. A franchise consultant can help you get your bearings if you are still unsure about which type of franchise is right for you. Franchise consultants match individuals up with the appropriate franchise units for a living. They are the veritable matchmakers of the business world. When it comes to franchises, there's no such thing as love at first sight. You need an expert to help you find a franchise that is right for you. Your financing expert is there to help you decide upon the best way to finance your new franchise unit. He or she may suggest taking out a business loan, or perhaps it would be better for you to use funds from your 401(k) or IRA. More than likely, your financing expert will suggest using a combination of both, plus personal funds or lines of credit to fill in the gaps. 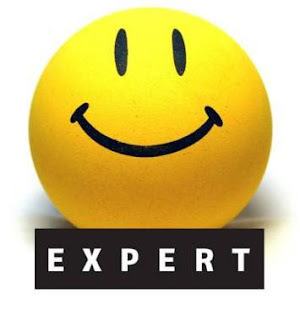 There is no replacement for a knowledgeable financing expert, especially when your own money is at stake! I've known people who have tried figure out how to invest their 401(k) on their own, and it's almost always a disaster. If you do not have an experienced financial expert on your side, you make accidentally make yourself vulnerable to a huge tax penalty, not the kind of thing you want when you're starting a new business. You need to talk to a local realtor who really knows the territory that you are looking at. These people have inside knowledge about the best places to set up shop. Perhaps one side of the street offers better access to customers than another, or maybe there's a particular corner which is apt to bring in loads of customers. These are all great things to know about. Plus, if there are any new city zoning changes about to take effect, your real estate consultant will know about these as well. Maybe there is a specific street in town that is about to be widened, allowing additional traffic into the particular nook where you are planning to set up shop! Chances are that you will need to establish a strong relationship with one or more local banks, either in order to take out a loan if you decide to pursue traditional funding, or if you need a line of credit. But even if you fund your venture completely through your own money, at the very least you will need to set up a new business account for your franchise unit. You need to find a bank that you can trust and whose representatives are knowledgeable and helpful. Insurance isn't just a good idea; it's an absolute necessity. There are several different aspects of your franchise business that are probably going to need insurance. If your business offers a delivery service, you will need to have insurance for your drivers. You will also need general insurance for the premises where you will be operating in order to protect yourself from loss, and even worse, liability. If you are operating a goods franchise (as opposed to a service franchise) you might also need to insure against the possibility that some of your products will turn out to be defective. All of these precautions will save you a great deal of trouble and heart ache in the future, so why not be safe?